I don't know about you, but I love discovering new beauty brands. There is something about the buzz and the excitement when you find a new wonder product and it makes me all eager to tell everybody all about them. Well, today I have some new products from by Amphora Aromatics' new company called Ooharr to share with you all. 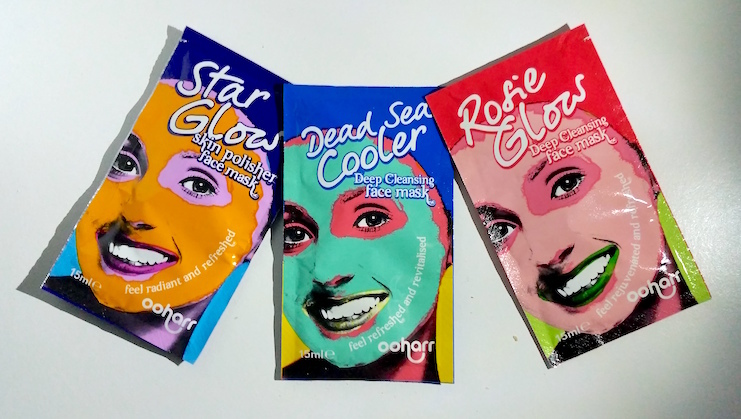 Ooharr is a fun skincare brand that prides itself on providing natural based products that are "effective, natural and easy to use and won't break the bank". Their range currently consists of three face masks (with more to come) that are suitable for all skin types and I have all of them to show you all today! Each mask comes packaged in its own personal, retro-designed sachet that contains enough product to apply to the face and neck (15ml). To use, you need to simply wash your face with warm water only and leave damp. Immediately apply the mask evenly over the face and neck and leave on for 15-20 minutes, and then rinse off with warm water. Splash the face with cold water to close the pores and then pat dry. So what types of masks do they have? Let's take a look. 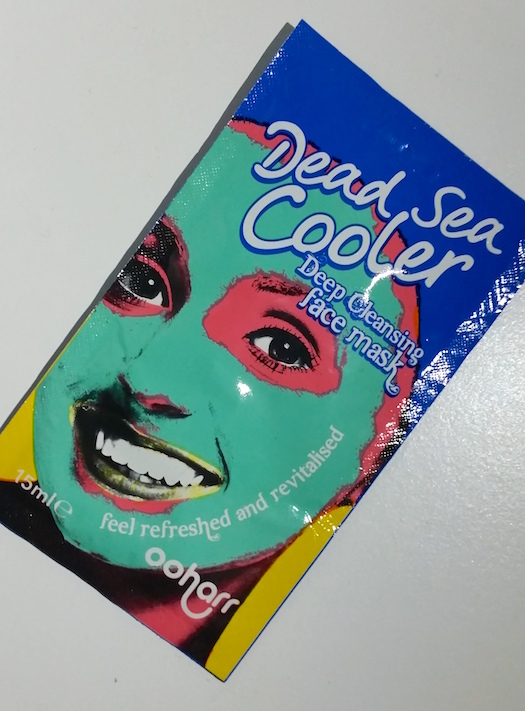 The Dead Sea Cooler is designed for a bright and clear complexion. It is infused with tea tree oil, witch hazel and peppermint, making it perfect for oily and/or blemish prone skin. It also contains Dead Sea salts to open the pores and to bring out the impurities whilst bamboo powder exfoliates the skin. In addition, it also contains argan and almond oils to leave the skin feeling soft. The mask is a bright, pastel blue in colour and is smooth yet gritty in texture. Upon application, it instantly begins to cool the skin. You can smell the tea tree and the peppermint, which is fresh and invigorating. Unlike some other masks where the cooling effect can fade after a short while, I found this one carried on until it was removed. Once you've waited the 15-20 minutes, removed it and patted dry, the skin is left looking matte and refreshed and feeling soft. The skin is clean and exfoliated. If you have oily and/or blemish prone skin, you should definitely check this mask out! The Star Glow face mask is designed to leave the skin feeling refreshed and radiant. It contains vanilla and honey along with almond and argan oils to provide moisture whilst the addition of aloe vera helps to calm the skin. Just like the Dead Sea Cooler, it is gritty in texture and therefore exfoliating. If there is an award for the best smelling face mask, this has to win, hands down. It smells like vanilla ice cream with raspberry sauce, it's so good you want to eat it (but don't, obviously)! Admittedly, due to having oily skin, I was expecting to like this mask the least as I thought that it may be too much moisture. However, this mask also contains jojoba to help regulate and balance sebum and to help prevent breakouts. The final result was actually what I can only describe as perfect skin. Pores look instantly minimised after removal and the skin feels so soft and looks radiant. This mask should be perfect for all skin types and I highly recommend trying it out! 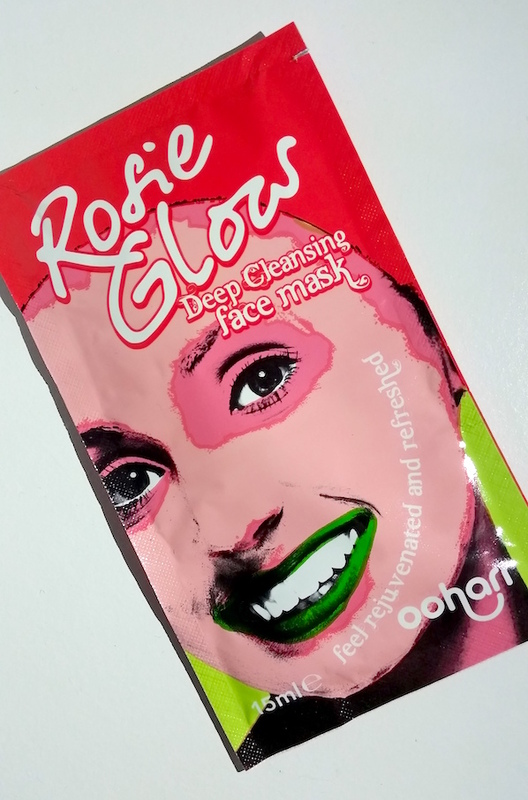 The Rosie Glow face mask is described as being "intensely nourishing and balancing", containing rose and palmarosa oils as well as geranium oil which is great for balancing the skin. Just like the other two masks, it contains dead sea salts to draw out impurities, but unlike the other two, this mask is smooth in texture and not exfoliating. 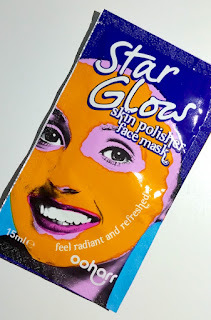 The colour of the mask almost matched my skin tone, so it almost looks like you've gone waaaay overboard with your foundation rather than that you're wearing a face mask! The smell, like you may have guessed from the name, is rose/floral. It's incredibly relaxing and beautiful. This masks seems to dry a bit quicker than the other two, but is just as thick. This mask leaves the skin looking clear and rejuvenated with a healthy glow. The rose oil helps to tone the skin and reduce any signs of redness, so it also evens out your skin tone. Again, regardless of your skin type, this mask is fab and regenerating. Overall, I think that all of these masks are incredible. If you asked me to choose a favourite, I'd have a hard time and I'd refuse to answer. Each mask works so well at addressing different issues that everybody - regardless of their skin type - will suffer from at one time or another. Because of this, I think that all of them work together to create the perfect additions to your skincare routine. If you want to try out a new brand or a new face mask, definitely stop by Amphora Aromatics or Ooharr to get your hands on these. You can purchase each mask for only £1.20 each from Ooharr. What are your thoughts on the Ooharr face masks? Which one appeals to you the most? *These products were sent to me to sample as a review consideration. However, this hasn't in any way affected my review with all thoughts and feelings about the products being 100% my own.